Terence Vincent Powderly (January 22, 1849 – June 24, 1924) was an American labor union leader, politician and attorney, best known as head of the Knights of Labor in the late 1880s. He was elected mayor of Scranton, Pennsylvania, for three 2-year terms, starting in 1878. A Republican, he served as the United States Commissioner General of Immigration in 1897. The Knights of Labor was one of the largest American labor organizations of the 19th century, but Powderly was a poor administrator and could barely keep it under control. His small central office could not supervise or coordinate the many strikes and other activities sponsored by union locals. Powderly believed that the Knights was an educational tool to uplift the workingman, and he downplayed the use of strikes to achieve workers' goals. His influence reportedly led to the passing of the alien contract labor law in 1885 and establishment of labor bureaus and arbitration boards in many states. The Knights failed to maintain its large membership after being blamed for the violence of the Haymarket Riot of 1886. It was increasingly upstaged by the American Federation of Labor under Samuel Gompers, which coordinated numerous specialized craft unions that appealed to skilled workers, instead of the mix of unskilled, semiskilled, and skilled workers in the Knights. Powderly is most remembered for leading the Knights of Labor ("K of L"), a nationwide labor union. He joined the Knights in 1874,:43 became Secretary of a District Assembly in 1877. He was elected Grand Master Workman in 1879 after the resignation of Uriah Smith Stephens. :39 At the time the Knights had around 10,000 members. He served as Grand Master Workman until 1893. Powderly, along with most labor leaders at the time, opposed the immigration of Chinese workers to the United States. He argued that immigrants took jobs away from native-born Americans and drove down wages. He urged West Coast branches of the Knights of Labor to campaign for the passage of the Chinese Exclusion Act. Powderly worked with Bishop James Gibbons of to persuade the Pope to remove sanctions against Catholics who joined unions. The Catholic Church had opposed the unions as too influenced by rituals of freemasonry. The Knights of Labor removed the words "The Holy and Noble Order of" from the name of the Knights of Labor in 1882 and abandoned any membership rituals associated with freemasonry. Individually, workingmen are weak, and, when separated, each one follows a different course, without accomplishing anything for himself or his fellow man; but when combined in one common bond of brotherhood, they become as the cable, each strand of which, though weak and insignificant enough in itself, is assisted and strengthened by being joined with others, and the work that one could not perform alone is easily accomplished by a combination of strands. Powderly was more influenced by the Greenback ideology of producerism than by socialism, a rising school of thought in Europe and the United States. Since producerism regarded most employers as "producers", Powderly disliked strikes. At times, the Knights organized strikes against local firms where the employer might be admitted as a member. The strikes would drive away the employers, resulting in a more purely working-class organization. Despite his personal ambivalence about labor action, Powderly was skillful in organizing. The success of the Great Southwest railroad strike of 1886 against Jay Gould's railroad more than compensated for the internal tension of his organization. The Knights of Labor grew so rapidly that at one point the organization called a moratorium on the issuance of charters. The union was recognized as the first successful national labor union in the United States. In 1885-86 the Knights achieved their greatest influence and greatest membership. Powderly attempted to focus the union on cooperative endeavors and the eight-hour day. Soon the demands placed on the union by its members for immediate improvements, and the pressures of hostile business and government institutions, forced the Knights to function like a traditional labor union. However, the Knights were too disorganized to deal with the centralized industries that they were striking against. Powderly forbade them to use their most effective tool: the strike. 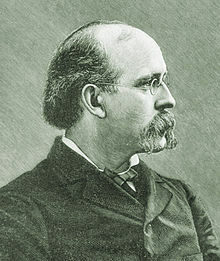 Powderly intervened in two labor actions: the first against the Texas and Pacific Railroad in 1886 and the second against the Chicago Meatpackinghouse industry. 25,000 workers in the Union Stockyards struck for an 8-hour day in 1886 and to rescind a wage reduction. In both cases, Powderly ended strikes that historians believe that labor could have won. This is when the Knights of Labor began to lose its influence. Powderly also feared losing the support of the Catholic Church, which many immigrant workers belonged to; the church authorities were essentially conservative and feared that the K of L was plotting a "socialist revolution". Powderly's insistence on ending both these strikes meant that the companies did not fear the K of L would use strikes as direct action to gain wage and labor benefits. After this, both Jay Gould and the Chicago Packinghouses won complete victories in breaking both strikes. Many KoL members joined more conservative alternatives, especially the Railroad brotherhoods, and the unions affiliated with the American Federation of Labor (AFL), which promoted craft unionism over the one all-inclusive union concept. Powderly was defeated for re-election as Master Workman in 1893. As the decline of the Knights continued, Powderly moved on, opening a successful law practice in 1894. Powderly was also a supporter of Henry George's popular "single tax" on land values. President William McKinley appointed Powderly as the Commissioner General of Immigration where he served from July 1, 1897 to June 24, 1902. In this role he established a commission to investigate conditions at Ellis Island, which ultimately led to 11 employees being dismissed. After being removed from the post in 1902 by Theodore Roosevelt, he continued to serve as Special Immigration Inspector, studying the causes of European emigration to the United States, where he recommended that officials inspect potential immigrants prior to their arrival in the US, station officers on immigrant-carrying ships, and take steps to more evenly distribute arriving immigrant populations geographically across the country. Powderly was appointed as the chief of the newly created Immigration Service's Division of Information, with a mission, following his own prior recommendation, to "promote a beneficial distribution of aliens admitted into the United States." Finally, in 1921, three years prior to his death, he was appointed as a member of the Immigration Service's Board of Review. As leader of the Knights of Labor, the nation's first successful trade union organization, Terence V. Powderly thrust the workers' needs to the fore for the first time in U.S. history. In the 1800s, far in advance for the period, he sought the inclusion of blacks, women and Hispanics for full-fledged membership in his trade union. With labor struggling for a place at America's economic table, Powderly achieved national stature as the recognized spokesman for the workers' interest and for the first time made organized labor a political force to be reckoned with. "The Organization of Labor," North American Review, vol. 135, no. 2, whole no. 309 (Aug. 1882), pp. 118–127. "The Army of the Discontented," North American Review, vol. 140, whole no. 341 (April 1885), pp. 369–378. "A Menacing Irruption," North American Review, vol. 147, whole no. 381 (Aug. 1888), pp. 369–378. "The Plea for Eight Hours," North American Review, vol. 150, whole no. 401 (April 1890), pp. 464–470. "The Workingman and Free Silver," North American Review, vol. 153, whole no. 421 (Dec. 1891), pp. 728–737. Thirty Years of Labor, 1859-1889. Columbus, OH: Excelsior Publishing House 1890. "Government Ownership of Railways," The Arena, vol. 7, whole no. 37 (Dec. 1892), pp. 58–63. The Path I Trod: The Autobiography of Terence V. Powderly. New York: Columbia University Press, 1940. ^ a b c d e f g h i j k l m n o p q Powderly, Terence (1940). 'The Path I Trod: The Autobiography of Terence V. Powderly. Columbia University Press. ISBN 9781163178164. ^ a b Stepenoff, Bonnie (1999). Their Fathers' Daughters: Silk Mill Workers in Northeastern Pennsylvania, 1880–1960. Susquehanna University Press. pp. 24–5. ISBN 1-57591-028-4. ^ "The Organization of Labor," North American Review, vol. 135, no. 2, whole no. 309 (Aug. 1882), pp. 118–127. ^ Powderly, Terence Vincent (1889). Thirty Years of Labor. 1859-1889. Excelsior publishing house. Retrieved 8 December 2014. "It would be far easier to levy a "single tax," basing it upon land values." "It is because [...] a single land tax would prove to be the very essence of equity, that l advocate it. ^ a b c "Terence V. Powderly". US Citizenship and Immigration Services. Retrieved 15 April 2017. ^ "Hall of Honor Inductee: Terence V. Powderly". US Department of Labor. Retrieved 13 April 2017. ^ "Terence V. Powderly House". Archived from the original on 2011-06-06. Retrieved 2008-02-07. ^ "Terence V. Powderly House". Retrieved 2008-02-07. ^ "Terence V. Powderly Historical Marker". explorepahistory.com. Retrieved 14 April 2017. Falzone, Vincent J. Terence V. Powderly: Middle Class Reformer. Washington, DC: University Press of America, 1978. Falzone, Vincent J. "Terence V. Powderly: Politician and Progressive Mayor of Scranton, 1878-1884," Pennsylvania History, vol. 41 (1974), pp. 289–310. McNeill, George E. (ed. ), The Labor Movement: The Problem of To-day. New York: M.W. Hazen Co., 1889. Voss, Kim. The Making of American Exceptionalism: The Knights of Labor and Class Formation in the Nineteenth Century. (Cornell University Press, 1994). Walker, Samuel. "Terence V. Powderly, Machinist: 1866-1877," Labor History, vol. 19 (1978), pp. 165–184. Wikimedia Commons has media related to Terence V. Powderly. "Terence Vincent Powderly Photographic Prints Collection". The American Catholic History Research Center and University Archives. Retrieved 2006-10-08. This page was last edited on 31 January 2019, at 15:08 (UTC).